You are here: Home / ISContentFeed / Could Google Maps Become the New Face of the Transit Authority? By Steve Downs, Chief Technology & Strategy Officer at Robert Wood Johnson Foundation. 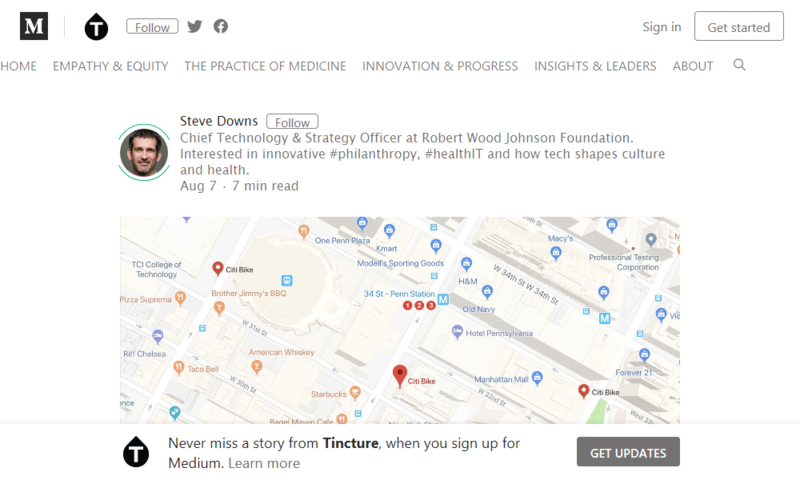 Interested in innovative #philanthropy, #healthIT and how tech shapes culture and health. In the series, It’s Time to Build Health Into the OS, I argued that creative uses of technology could facilitate a set of healthy behaviors, including physical activity and spending time outdoors. Improvements in transportation services could be a tremendous enabler of both of these behaviors. The good news is that thanks to progress on autonomous vehicles, the advent of ride-hailing services and the pressure to reduce carbon emissions, we’re in a period of innovation, disruption, and uncertainty about transportation. You could say we’re at a crossroads. That creates a great opportunity to reimagine different services.